Our practitioners offer the highest standard of treatment and advice, as well as prevention and rehabilitation techniques that are suitable for all ages. All practitioners are also fully insured and registered with the appropriate bodies. Diane is our first Practice Manager, joining us in October 2016, and making a fantastic and positive change to the clinic for both patients and practitioners. Originally from the St. David's area of Pembrokeshire, Wales Diane has lived in Suffolk for over 30 years. Diane trained as a teacher and until recently taught at Primary schools leaving the profession last year to broaden her horizons. With both her children living in London Diane enjoys visiting art galleries, historic buildings and theatre. Appreciating the Suffolk scenery Diane enjoys walking, cycling and cosy pub lunches. 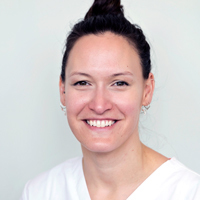 Rebecca completed her Bachelor of Science Honours degree at The London School of Osteopathy in 2010 before starting out her career as an Associate Osteopath in Norwich. In 2012 Rebecca opened Southwold Treatment Rooms, inspired by her passion for Osteopathy as well as her love for Southwold, having grown up here. Having recently had 2 children Rebeccas able to offer a more empathetic approach to a professional interest in treating women during pregnancy, and also enjoys treating lower back conditions, neck pain and headaches. Rebeccas personal interests often help to relate with patients having enjoyed many sports including 2 winter seasons and many years of snowboarding and skiing, being a qualified horse riding instructor, having competed nationally in gymnastics on horseback, many years of yoga classes and sea swimming for as much of the year as possible! 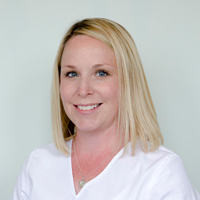 Using a wide variety of structural techniques Rebeccas approach is relaxed and friendly but also committed to providing a holistic, natural and professional approach to healthcare. Ali qualified from the London School of Osteopathy, and is registered with the governing body, the GOsC. 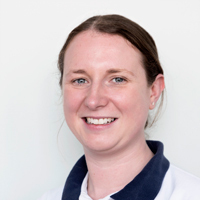 As an osteopath she has treated a varied catalogue of acute and chronic patients including obstetrics, geriatrics, paediatrics and sports injuries. Ali also uses her experience of Personal training and Pilates along with her Osteopathic approach to focus on functional fitness and core stability for back pain and improved posture. As an Osteopath, Personal Trainer and mat Pilates instructor Ali's extensive experience has led her to work with people from all walks of life across all levels of fitness and ability. Working in the fitness industry for 15 years as a fully qualified personal trainer. She has experience in both corporate gym environments and exclusive personal training suites. Ali has met a diverse range of requirements from improving fitness, weight loss management, pre and post natal, to special populations, such as osteoporosis, Parkinson's, MS and cancer. Charlotte graduated from the University of Worcester in 2014 with BSc (Hons) in Sports Therapy, enabling her to gain full membership to The Society of Sports Therapists. In July 2015, Charlotte was selected as a Sports Therapist for The Gothia World Youth Football Club in Sweden. Charlotte is currently providing her sports knowledge and skills for the treatment of Southwold Rugby Club as well as treating a variety of musculoskeletal conditions and massage based sessions. 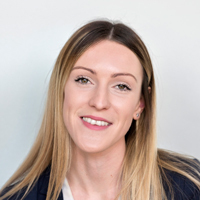 Emma qualified as a Sports Therapist from the University of Hertfordshire in 2009 and has since gone on to work within a number of clinics and Sports teams within Suffolk and South Norfolk. With the commitments of having a young family Emma has recently decided to focus on her clinic work. Having previously worked within football for around 9 years, being Sports Therapist for semi professional club Lowestoft Town FC and more recently match day Sports Therapist for Ipswich Town FC academy. Emma enjoys working with a variety of individuals including those involved with sports and those after remedial massage. Rebecca completed her BSc in Physiotherapy at the University of Southampton in 2006. Rebecca began work at the Royal Bournemouth and Christchurch NHS Trust developing a wide variety of physiotherapy skills. 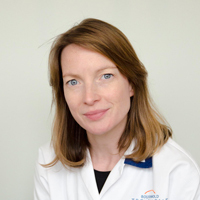 Her work on a specialist stroke and rehabilitation unit realised her passion for neurological physiotherapy and during 6 years working in the world renowned National Hospital for Neurology and Neurosurgery, Queens Square, London she progressed to a Highly Specialist Physiotherapist with an extensive skill set in assessment, management and treatment of neurological and vestibular conditions. She has experience in treating patients with Stroke, Acquired brain injury, Spinal cord injury, Neuro-oncology, Parkinsons disease, Peripheral neurophathies, Motor Neurone Disease and worked in specialist clinics in Multiple Sclerosis, Ataxia and Vestibular rehabilitation. Alongside this experience Rebecca’s key clinical interest is with balance and falls and is able to treat many aspects of dizziness and vertigo. Rebecca is the Stroke Clinical Lead Physiotherapist at the Norfolk and Norwich University Hospital and she enjoys lecturing nationally. Now living in Norfolk with her husband and young daughter Rebecca loves a trip to her hometown Southwold where many of her family live. Charlotte is a registered Hearing Aid Audiologist working for Hidden Hearing. 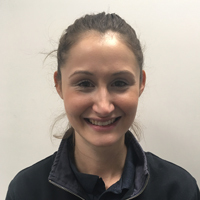 Charlotte successfully completed the Hidden Hearing Ltd work based learning programme and has achieved the Award in Hearing Aid Dispensing Competence. Charlotte is a registered Hearing Aid Dispenser with the regulatory body HCPC- The Health and Care Professions Council. 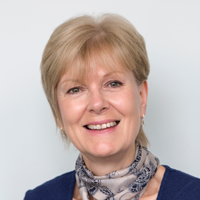 She is also a qualified member of BSHAA- The British Society of Hearing Aid Audiologists. Charlotte can offer a free- no obligation hearing health check and will thoroughly assess your hearing. She offers clear and honest advice and if needed, will focus to help you reach your full hearing potential.